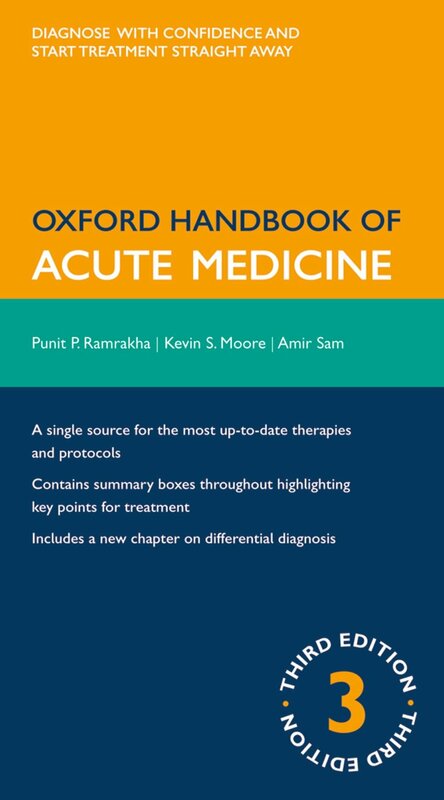 Authors: RAMRAKHA, P. & MOORE, K.
The best-selling Oxford Handbook of Acute Medicine is an up-to-date, practical and comprehensive guide to the management of the acutely ill patient. This third edition has been revised throughout to include the most up-to-date guidelines and treatment management plans. A new junior author ensures that the content remains relevant and accessible to all medics approaching acute medicine for the first time. This edition includes a new chapter which focuses on common presentations, and quick reference boxes throughout highlight top priorities in the management of each condition. The section on practical procedures has also been expanded to include core competencies for the Foundation Programme.